In 2010, the Belgian Reggae band: "Pura Vida" met the Jamaicans "The Congos" for the realization of some songs. This cooperation takes shape in the amazing album "We Nah Give Up". "Pura Vida" is one of the biggest new reggae revelations from Belgium, while "The Congos" is a glorious Jamaican Reggae band. "We Nah Give Up" was released in June 2011. It's a double album released only in vinyl version. 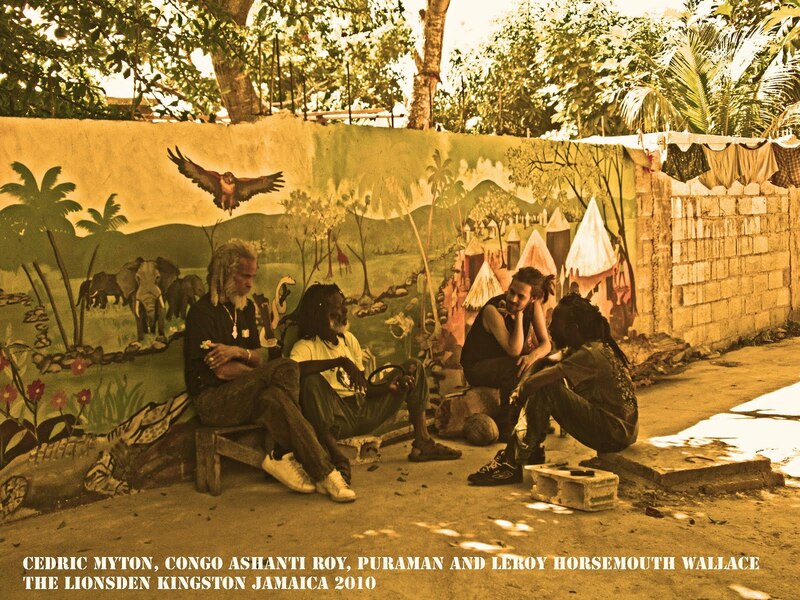 This album is a candidate to be one of the best Reggae albums of 2011. 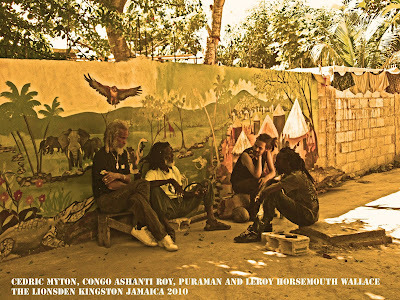 The songs were recorded in Belgium at the "Lost Ark Studio" and in Jamaica at "The Lions Den Studio"
The album is a concentrated of Reggae music in a classic vintage late 70th style. The sound is hypnotic with ingenious and original atmospheres. "The Congos" are very inspired, they cross the sound with surprising harmonies and great lyrics. The album is producted by the label "Lost Ark Music" and actually you can buy in its website. (See details below). Even if the label is small, this shows that if the ideas have good quality, a good product can be realized. No doubt about it! ....The best Reggae album of the year. 1) We Nah Give Up. 2) Africa. 3) Rolling Stone. 4) Tuffer. 5) The Wicked A Go Fall. 6) Jah Send A Little Angel. 7) Why You Treat Me So Bad. 8) Who's Love. 1) No Way Out. 2) Bam Bam. 3) Proceed. 4) You Don't Know Me. 5) Rasta Feeling. 6) Melodica Dub. 7) African Dub. 8) Rolling Dub. 9) We Nah Give Dub. Pura Vida & The Congos "We Nah Give Up!" 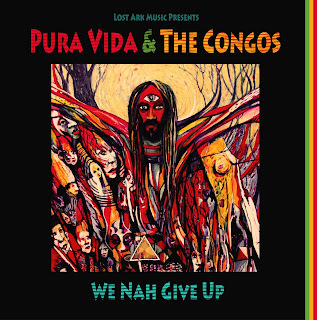 Pura Vida & The Congos "TUFFER"
Pura Vida & The Congos "We Nah Give Up"